pen mics here are not as relile as they werep until June 2003, when the once faithful regular host decided to call it quits. Up until then, the ample stage (in a separate room from the bar) accommodated various word-smiths, bards, and balladeers, entertaining many a local -- whether Outer-Mission barflies or artist types. While the friendly management is finalizing their tryouts for new hosts, please do give a call first to be sure of goings-on, especially if you have your heart set on performing. 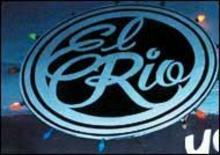 According to the El Rio staff, in late summer it's common for scheduling to get less dependable, because of their patrons' desires to have movie showings in the outdoor back patio area. San Franciscans always like to take advantage of outdoor spaces during periods of non-foggy weather. Then in September, another interruption happens to open mic night, when El Rio puts on the annual MadCat Women's International Film Festival. The website calendar is usually a good source of event info. Otherwise, if you live in the neighborhood, make it a habit to drop on by for a drink. There's lots of room and cool people to talk to, plus a two-buck drink special. Make it "your dive" too. Then when they start getting back into their poetry groove, you'll already know everyone there by name (no, there are no similarities to Cheers here). It's what they announce as "mixed environment to have a good time and find a mixed bag of enjoyable music and entertainment."